I am back with a new Thumbs nails of the week. 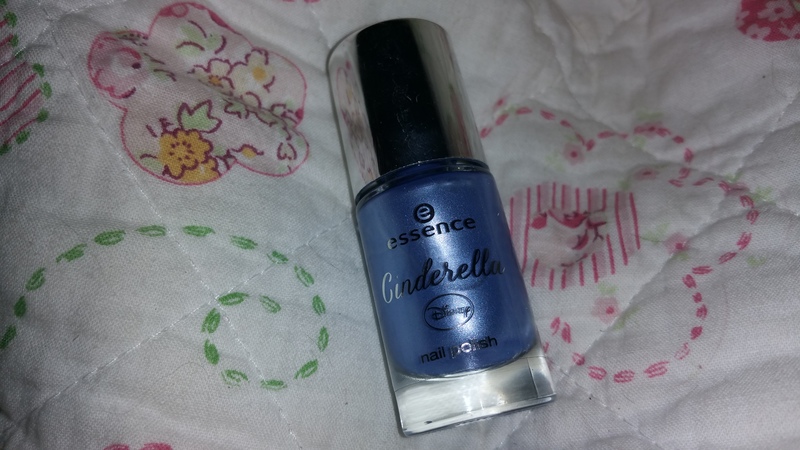 As I have written in this title I went for an Essence polish with a Disney ring to it. 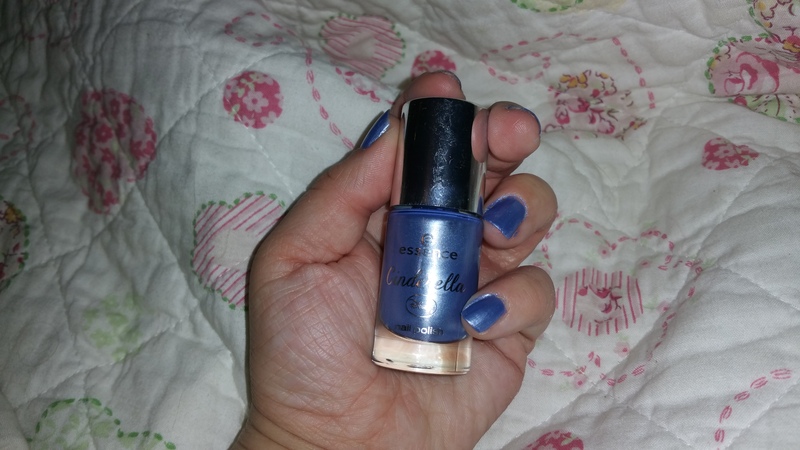 I am sporting Prince Charming (03)from Essences Cinderella collection in this blog post. 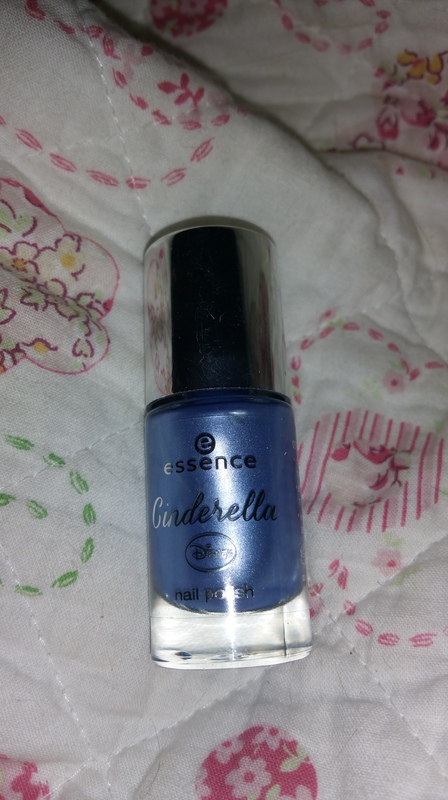 I was personally not aware that Essence also released a Cinderella collection. Check out this collection here. Anyway I discovered this collection at the drugstore Kruidvat this Sunday . As I was in need for a polish. I picked up two from this collection one called Bibidi Bobbidi Boo a pinky polish and this one in Prince charming. So what can I say about this polish? First of all the bottle is really cute with a silver lid. 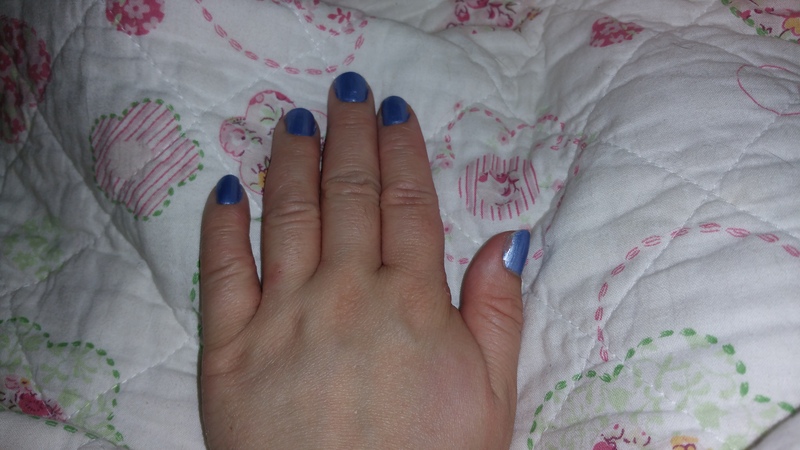 Secondly the colour is an unique purpley , blue colour and this polish has a metallic look to it. It must have been inspired by Cinderella’s dress. The polish cost at Kruidvat 1.99 euro a steal!. And I got away with two coats of polish. Also a good thing was the polish glided on. Not streaky, this is very important too me. All in all a good and fun polish. I would say this polish is more appropriate for a night out or clubbing. It’s a little in your face for the office. Furthermore I am curious how long this polish will wear. Also next time I would use a topcoat as I think this would look nice A last note I would have preferred this colour to be non metallic as the colour is beautiful. With the magic words ‘Bibbidi bobbidi boo’ my Cinderella’s post ends. I hope you all enjoyed this magical post. If you did please like and subscribe. For my last Thumbs nails of the week click here.